A few articles in this group have touched on the HK paint industry, especially China Paint, Camel Paint and Swire Duro which are still active. This article will shed more light on three prominent players which has since faded into history – namely Island Paint, Kin Kwok Lacquer and HK Paint Products. 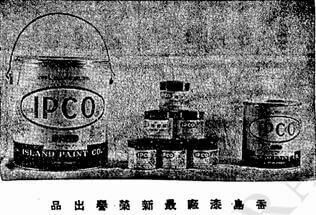 Island Paint Company Ltd (IPCO) was founded in 1938 by Jack Man Eng (伍澤民). Like other paint manufacturers such as the Lam Kwan of China Paint and Liang Meng-tsi of Duro, Jack Eng was educated in the US. Born in 1903, he went to Seattle for high school shortly after WWI and graduated from Broadway High in 1922. In 1926, he earned his degree in chemical engineering from the University of Washington in Seattle and worked in a paint factory in the U.S. after graduation. In 1933, he returned to Canton where he established the General Printing Ink, Paint & Varnish Co. When Canton was occupied by the Japanese in 1938, he moved to Hong Kong with six of his technicians and founded IPCO. These products were marketed under the brands of “Speedboat”, “Iron Bridge”, “Golden Dragon” and “Motor Car” and in the early years it mainly exported to Canton, Macau, Swatow, Taiwan, the Philippines, Singapore and Thailand. By 1965 (the year of the firm’s incorporation), export was 40% of the firm’s sales while local sales represented 60%. It was facing many headwinds in the export market as the Western African market banned imports of HK goods and Singapore and Malaysia were imposing high import duties but fortunately, the Thai market remained strong thanks to an effective Thai Chinese distributor. The local market was also doing well as HK was experiencing a housing boom and other big local clients included the Army Barracks, the new Ocean Terminal (which used over 1000 gallons) and many of the booths at the HK Products Expo, which the firm had participated in for many years. 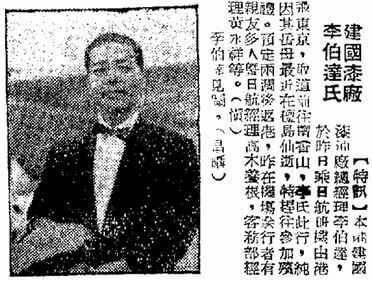 By 1966, Eng was living in 15 Gough Hill Road on the Peak, a property which later ended up in the hands of Chuang’s International (see Cutlery article) which sold it for a record HK$2.1 billion in 2016. 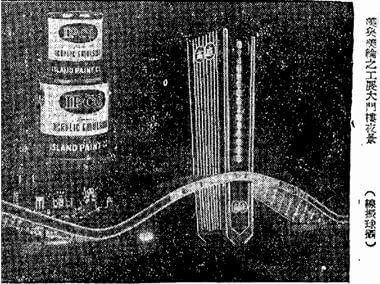 In December 1981, Island Paint suddenly announced its closure and liquidation of equipment. According to the spokesperson, the closure was due to the expiration of the factory’s lease and not due to losses. The firm was finally dissolved in 1984. Kin Kwok Lacquer Manufacturing Co was founded in 1946 (although not incorporated until 1955) on Lau Li Street, Causeway Bay by several partners including Lam Wing Cheung (林榮章) who served as general manager and Yan Kwok Chu (甄國柱) who was the chief technician. Yan was the younger brother of Alfonso J. Ben, the co-founder and chairman of National Lacquer (aka Camelpaint). The chairman of the firm was Chan Pak-sheung (陳柏相), who was manager of the Luk Hoi Tong Hotel and a renowned figure in the entertainment business. The company had a sales department on Wing Lok Street and it mainly manufactured car paint, brushing paint, furniture lacquer, thinner, varnish and synthetic enamel. They were marketed under the brands of Lion and Navy with the Malay Archipelago, Singapore, the Philippines, Dutch Indonesia, Thailand, Hong Kong, Macau and mainland China as the major markets. By 1960, the managing director of Kin Kwok was James Lee Pak-tat (李伯達), the son of banker Li Sing-kui (李星衢, 1879-1955), who was a principal shareholder of the Hong Nin Bank and owner of 15 Robinson Road, one of the few prewar mansions still standing in the Mid-Levels. Born in 1922, James Lee was a graduate of Wah Yan College and received his B.Sc from the University of Southern California. 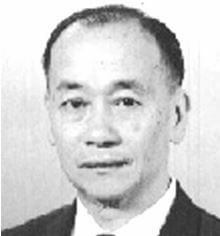 He worked in operations for the airline CNAC and in addition to Kin Kwok was also representative of 2 US firms – American Buff Co and Oriental Enterprises of Delaware. The firm was dissolved in 1998. Hongkong Paint Products Limited was founded in 1952 by Loke Yung-cheong (陸容章, 1907-2011), the grandson of the prominent Malaysian tin king and philanthropist Loke Yew. Loke Yung-cheong was probably best known for being the landlord of the Loke Yew Building in Central, which he built in memory of his grandfather, for over six decades until his death at the age of 103. However, Loke was also known as a paint manufacturer from the 1950s through 1980s. 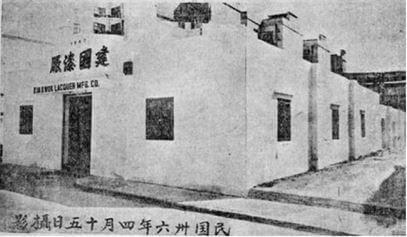 Loke was introduced to the paint business by the factory’s first manager – Chan Kam-hon (陳錦漢), who studied paint and ink in the US and returned to HK in 1932 when he started Hon Wah Printing Ink Co supplying newspaper publishers and printers until the Japanese occupation when he moved back to the mainland. 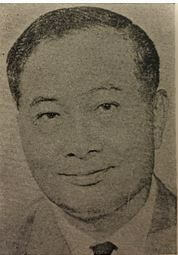 An alumnus of Lingnan University in Canton, Loke also employed many of his classmates including the father of Stanley Ho’s wife Lucina Laam. The firm’s first plant was a 20000-sq-ft factory was situated at 680 Castle Peak Road and manufactured ship paint, automobile spray paint, brushing paint, ready-mixed paint, building paint and synthetic enamel which were marketed under the brands of “Deer” (its most famous brand), Painter and Two Parrots. 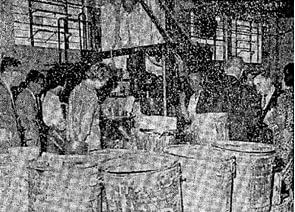 In 1954, the factory employed 40 workers and produced 32 colors of paint, selling them at 32 dollars per gallon. 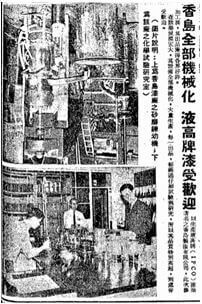 Monthly output of the firm was 50-60 tons and its primary market was Thailand, followed by Singapore and Hong Kong where many famous restaurants such as King Wah (瓊華) in Mongkok used their products and its ship paint was also very popular. It also exported to Myanmar, Africa, the Middle East, Okinawa and other countries in Southeast Asia. The firm was known for its technological advances in the 1950s, using hundreds of materials to produce paint that could withstand ultrahigh temperature. 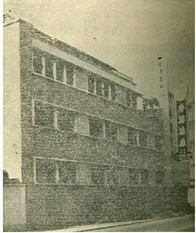 By the early 1960s, it moved into a larger facility at 404 Kwun Tong Road. In 1963, HK Paint Products did a joint show with Dow Chemical at its plant for housewives, which featured Jean Wong (best known for her ballet school in later years) as model showing how fashion could complement different kinds of rubber coatings at home. 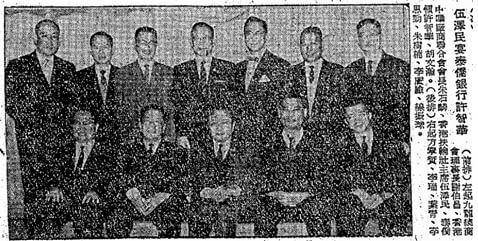 By the 1960s, Loke’s son Wilson YT Loke (陸潤棠) had joined the firm with senior technical role where he developed new products such as automobile spray paint. 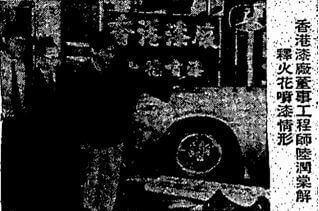 In 1971, HK Paint launched its spray paint for cars at the 4th Toyota car show at the Ocean Terminal, retailing from 150-210 dollars per set depending on the car size. 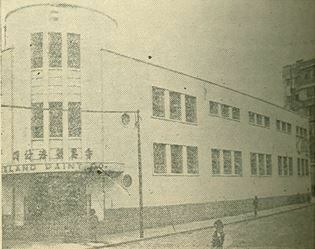 In 1979, HK Paint Products was dissolved and its factory site in Kwun Tong was re-developed as Selwyn Factory Building the same year. This article was first posted on 3rd July 2017. 30 Mystery industrial building on Tsing Yi – paint factory?